Congratulations to Mr. Buff, a Virginia sired 5-year-old Friend or Foe gelding who won his fourth consecutive race and second consecutive stakes this past weekend. Mr. Buff’s sire Friend or Foe stands at Smallwood Farm in Crozet, VA. Owned and bred by Chester and Mary Broman, Mr. Buff has now bankrolled $540,786 from 26 career starts. He has 8 wins, 6 seconds and 3 thirds. 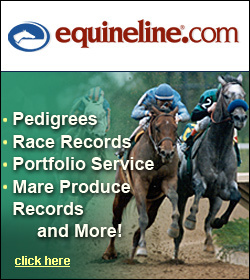 The recent four race streak has all come at Aqueduct and has occurred in a tight ten week window. He captured an allowance November 14th, an allowance optional claimer November 28th, the Alex Robb Stakes December 29th and the Jazil Stakes most recently on January 26th. Here is a recap of the Jazil courtesy of The Paulick Report. 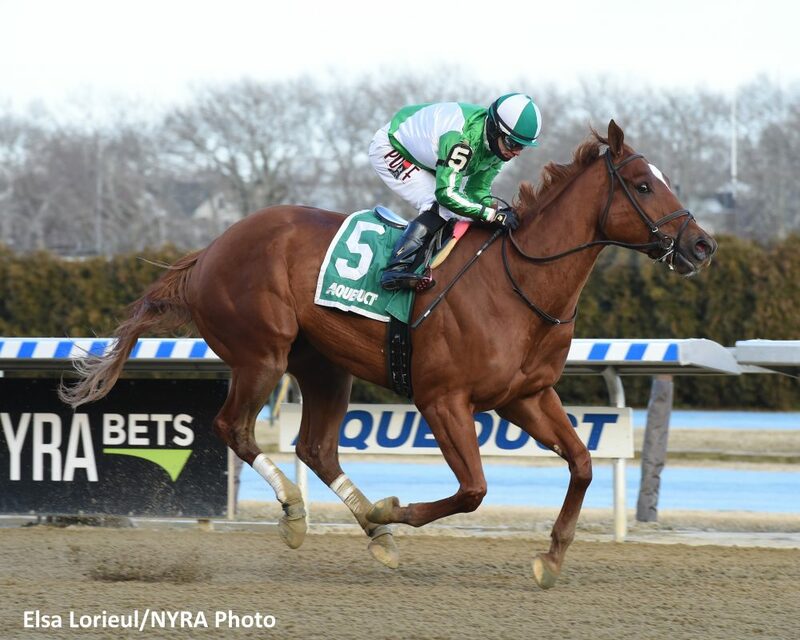 Mr. Buff won his fourth straight race in the January 26th Jazil Stakes at Aqueduct. Photo by Elsa Lorieul.